There are times when you are not able to assess your financial needs properly or things go wrong that results in you applying for refinancing. Unfortunately, refinancing is not always successful; however, if you do it right, it can really pay off. 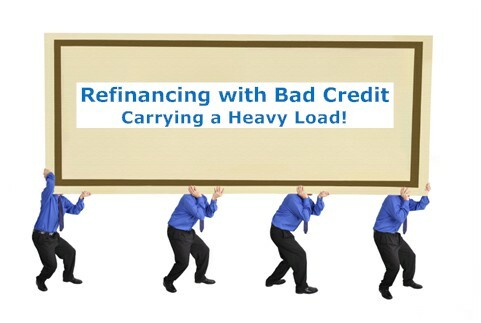 The most important thing for a refinancing attempt to be successful is first finding the right lender. That is not an easy job and requires some legwork. Huettner Capital’s president, Todd Huettner says that every lender has different rules. He being a commercial and residential mortgage broker knows the business really well. He insists that one moves on to other lender if the first attempt is not successful. Want to know more about the necessary steps? Read on to find out! Firstly, it is important to be clear of what you want the loan for. Do you have to pay off a debt or do you just need money to add to your checking account. When you are sure of the reason you will find it easier to get the right lender. Additionally, questions like how much can you afford to payback have to be answered clearly so that you do not end up selecting a lender that is ‘too expensive’ for you. It is very important to do a good amount of research regarding financial institutions and everything else related to your business and financing. Additionally, do not believe everything you see in the newspapers. Fairway Independent Mortgage’s vice president, Amy Tierce, asks people not to get too excited upon seeing the rates in newspapers as they are mostly given to attract people’s attention and are for borrowers with an impressive FICO score. It has to be understood that rates are subject to change based on your credit score. The best practice is to do a good amount of research and have concrete results to avoid any trouble. The first lender is certainly not your last resort. It is important that you look around for better options before zeroing in on one. Choice of lender is as important as rates if not more. You should see the kind of services the lender makes to help you decide which lender to go for. Points like professionalism, trust, honesty and integrity are very important. Get the lender’s background and do a reliability check to make sure you are not making a mistake. However, it doesn’t mean you neglect rates. It is important to compare them as well. Your credit score gets to decide a lot. You need an impressive credit score to qualify for a loan. Additionally, the fees you are required to pay may also vary depending on your credit score. If your rate is low, it is preferred that you hire an expert to help you determine loan options in your best interest. Always read the fine print and be aware of all the costs (application fee, appraisal fee, attorney fee, etc.) so that you have an idea on how much refinancing will actually cost you. By using these simple tips you can easily secure refinancing. The key lies in paying attention to all the important points and researching well.